Royal Mayfair is a popular perfume by Creed for men and was released in 2009. The scent is woody-fresh. It is still in production. In 2015 the scent was re-released under a new name. The introduction is exactly like walking into a newly constructed fiberglass sailboat. There is nothing other than the scent of new plastic, epoxy and synthetic resin curing. A bit later you receive a delivery of a bouquet of fresh pine branches and roses, but you still remain on that damn boat. After a few hours you are let out of the boat, and the bouquet of pine and rose is complemented with eucalyptus and peppery cedar. A very nice ending, but the boat trip ruins the ride. A fragrance that takes you back to the 19th century. Ladies in long dresses with skirt laps in the back, men with top hats. Wood-panelled rooms with heavy velvet-covered armchairs on dark oak tables, in which people "sat down" to roast or simply chatted. On the table there is a bonbonnière with a rose pattern on the lid which was occasionally eaten with pointed fingers. English pine drops and rose flavoured sweets. And if one rides out, then into the nearby forest, where it smelled of cedars and pines, after it had rained and the sun shone again. Far away seems to be this time. And yet so strangely present. The smell of "Royal Mayfair" has such a pleasantly old-fashioned charisma, which triggers such pictures in me. The "English Rose" does the rest and wants to put me in a "time machine", which takes me there, where time passes more slowly, and lets me remain in it. At least as long as I can smell the perfume. This is crazy, on initial spray I get a white floral aroma, yet no such notes are listed, just rose. I just recently got this and have only "sampled" sprayed on two different days. Again, at the end life I'm getting something that is not listed, a beautiful vetiver! As it dies down this scent reminds me of a greater version of Tom Ford's Grey Vetiver. Yes, at first it is DEFINITELY feminine. It sort of turned me off, the first time I wore it I had to go out so I ended up washing it off before going out, not allowing it to evolve. The second application, on an evening, was right before going to sleep. About six hours later upon waking up, wow, what a beautiful scent. So, in closing..........if you are willing to put up with a feminine floral scent for an hour or so, give it a try. Windsor is probably one of the most interesting rose fragrances introduced to the niche perfume marketplace. It is coveted by fragrance enthusiasts and held in very high regard for its intriguing floral structure. 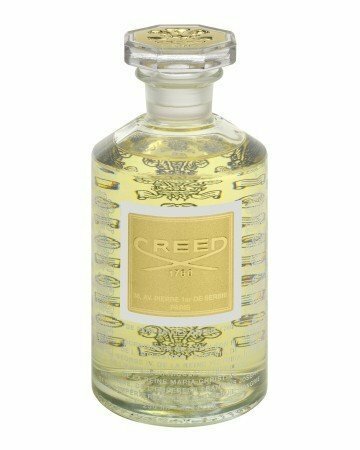 In fragrance circles some believe that Creed seems to have created a gem up until the second issue of Windsor in 2010. There has been much debate about the reasoning behind the second issue of Windsor and why this fragrance’s note structure is slightly different then the 2009 release. Creed does claim that they only use the finest of natural materials to make their fragrances and at times, use this as a crutch when accused of modifying formulas. Many of us understand that there can be subtle differences from one crop season to the next. These differences can directly effect the end product and the way in which the notes are perceived. The subtle differences between the two issues are significant enough to some to cause endless comparisons and debates. Creed presents the story of Windsor as a fragrance originally created in 1936 for King Edward VIII, also known as the Duke of Windsor. The general attitude or concept of this fragrance followed his philosophy, “Royalty need not shout.” The fragrance’s notes were a collection of scents grown in the specific regions of the King’s rule. The notes are Jamaican Lime, British Gin, Scottish Highland Pine, Duke of Windsor Roses, Bahamian Orange, Canadian Cedar, Australian Eucalyptus. The story has it that Windsor was delivered to the king just before his resigning the throne to marry American divorcee Wallis Simpson. Now known as The Duke of Windsor, Edward wore the fragrance as he traveled with his wife participating in social events. The Windsor 2009 issue was a very limited production. There were only 320 1.7oz leather-wrapped shatterproof travel atomizers and 70 8.4oz flacons offered for sale in the U.S. through Saks Fifth Avenue. The flacons were signed by the sixth-generation master perfumer Olivier Creed. The Windsor 2009 edition opens sharply with essence of gin, lime and pine. The lime and pine top notes are quite refreshing but fleeting. Underneath, just as the citrus fades, you start to sense a light green note, perhaps a bit medicinal but green and herbal nonetheless. I vaguely detect a hint of rose in the end of top notes but am mostly mesmerized by the cedar and eucalyptus notes coming up in the background. The green accord wavers in and out under the rose as the it matures. It is not until the base notes appear more robustly does the rose seems to increase in strength and blend beautifully with the cedar and eucalyptus. Windsor only gets better with time. The rose, cedar and eucalyptus notes mellow and are warm and intoxicating. The woody cedar base makes the rose here a bit masculine. The eucalyptus displays itself as a fresh green note, supporting the green accord that first appeared at the end of the top notes keeping this rose fresh, green and vibrant. The base nestles into a warm woodsy fragrance with just a touch of eucalyptus, keeping this floral interesting. This particular combination is a very masculine and quite beautiful. Windsor 2010 is a slightly different Windsor in a few ways. I can only describe the opening in one word, disappointing. I guess my response might have been different if I hadn’t experienced Windsor 2009. But because I have, I was expecting similar results considering the name of the fragrance was retained. There is absolutely no boozy gin and lime citrus blast. The rose heart note moves in quickly. It’s interesting that Creed still classifies this release as a “Citrus/Green” fragrance. The opening of Windsor 2010 is completely linear and smells exactly like the dry down of the 2009 release straight out of the flacon. The top or heart notes do not evolve though a green floral phase as in the 2009 release. Once Windsor 2010 is in the dry down phase, it is very similar to the 2009 release and you virtually cannot tell the two apart. So why am I so disappointed if in the end, the fragrance’s dry down is the same? I find the missing fresh green accords to be the downfall of Windsor 2010. The fresh green, herbal florals are what gave Windsor interest and dimension. The rose note in Windsor 2010 seems sweeter and more tuberose. The combination of fresh green notes is also what made the rose heart of Windsor more masculine. The 2010 release, in my opinion, definitely leans towards the more feminine side of rose without the eucalyptus and pine. It also come straight out of the gate as dried down Windsor 2009, very linear, not very interesting and well, a bit boring. Even though I was not very impressed with the Windsor 2010 release, I must admit that it still is a world class rose fragrance. I believe that Windsor 2010 is more unisex and may have more appeal to the female customer who might have thought the eucalyptus notes in Windsor 2009 were too medicinal or too piney. There were many people who purchased the 2010 release expecting it to be the same as the 2009 release. There have been endless conversations in the fragrance community to which release was better composed or which release had higher quality ingredients. In the end, Windsor 2009 and 2010 dry down to virtually the same fragrance and perhaps that’s all that Creed was concerned with. Windsor (new) opens with a gin-like mist with faint lime accents before quickly transitioning to its heart notes that are quite difficult to describe on skin... I get a lot of cedar, with a dull eucalyptus, rotting pine and just a mild faint rose that really is not the star of the scent at all. Projection and longevity are both average. I went into smelling Windsor (new) with high expectations as I tend to love rose fragrances, and this one has gotten a lot of love by fellow enthusiasts. Unfortunately Windsor (new) is a failure, IMO. I get very little rose, but instead a weird combination of eucalyptus, pine and cedar primarily that adds in the rose as almost an afterthought to create a scent that comes off as something reminding me of stale hay in a barn house. I realize that is not what any of the notes smell like individually and I normally would not make the association with any of them at all, but maybe it is a skin reaction or something else, but that is what I am getting from the overall accord... The scent is almost something I might expect to smell from an animalic even though this should really not smell like that -- not terrible smelling, per se, but just "off". It is a weird smell and completely different from what I wanted and expected. I give this unfortunate way overpriced semi-stinker from Creed a below average 2 to 2.5 stars out of 5.